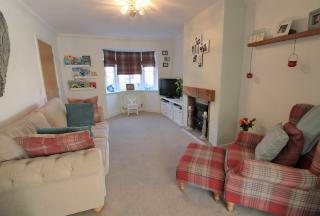 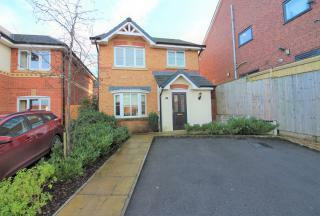 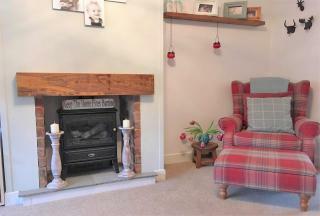 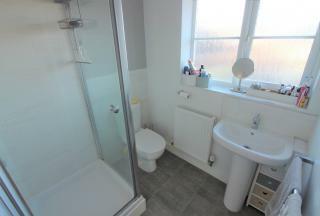 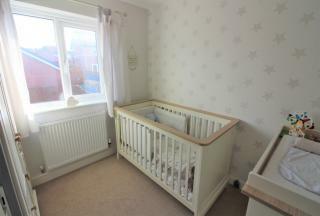 *** NO CHAIN *** Beautifully presented three bedroom detached family home situated on Jubilee Gardens, Staining. 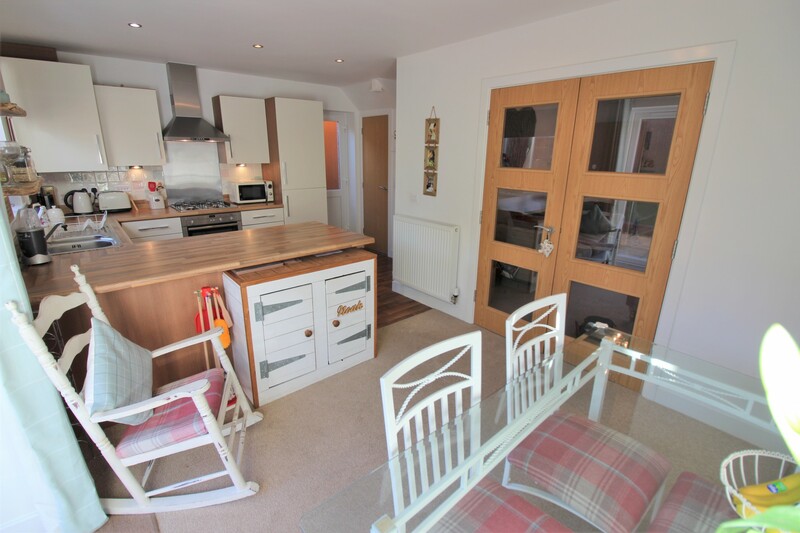 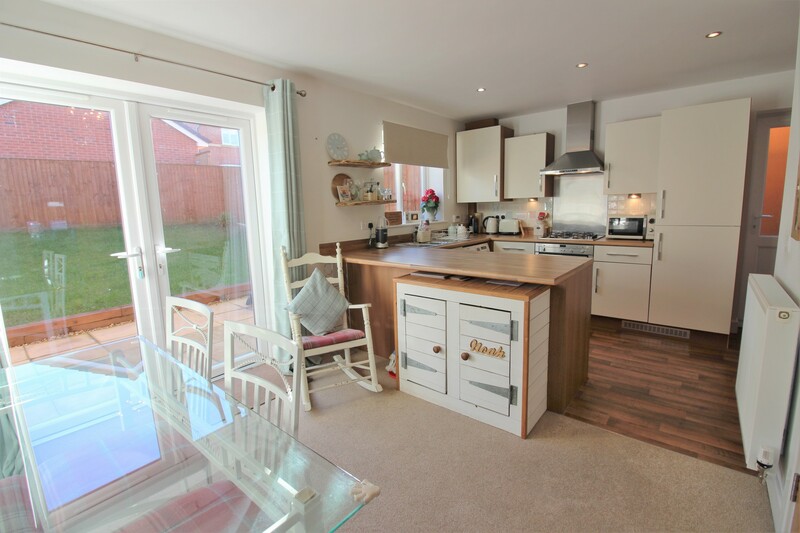 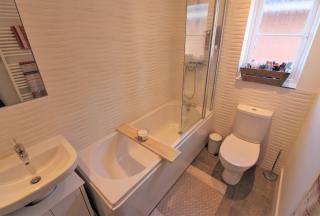 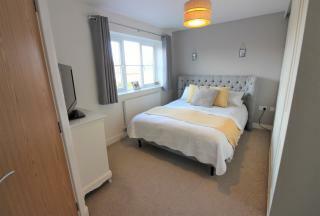 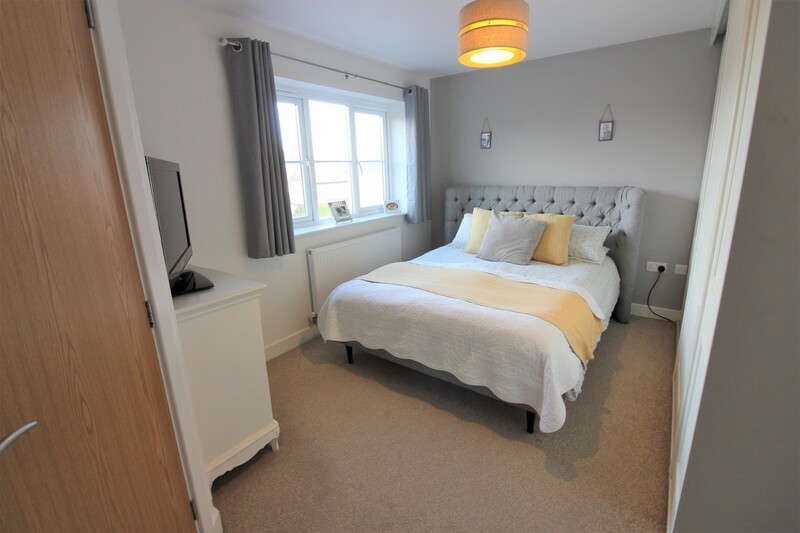 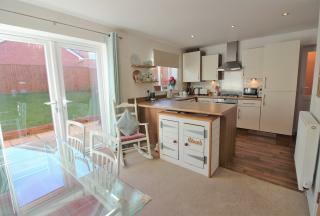 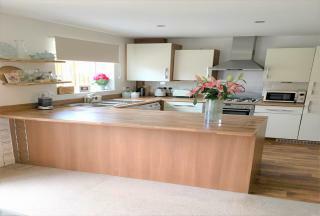 The property features a open plan kitchen/diner, south facing rear garden and master bedroom with en-suite. 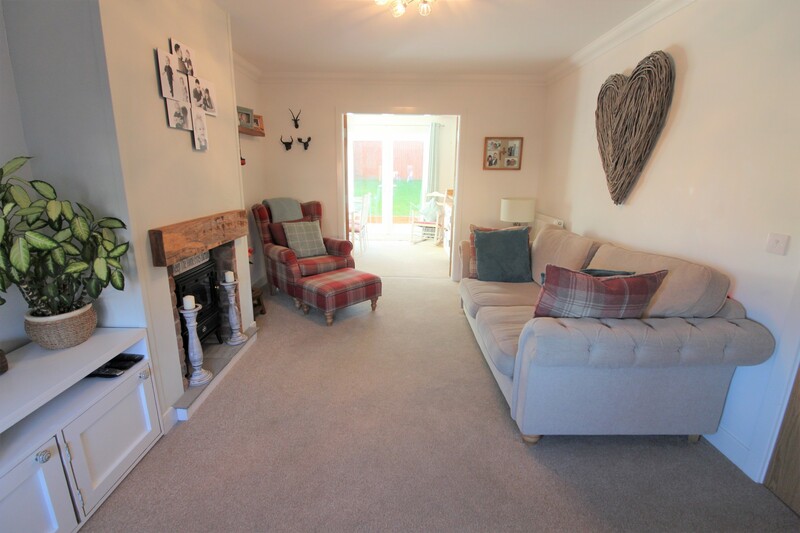 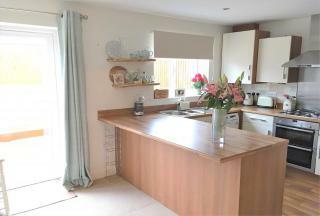 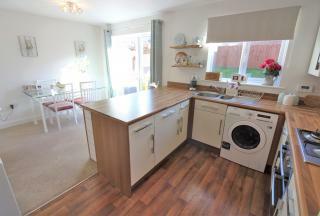 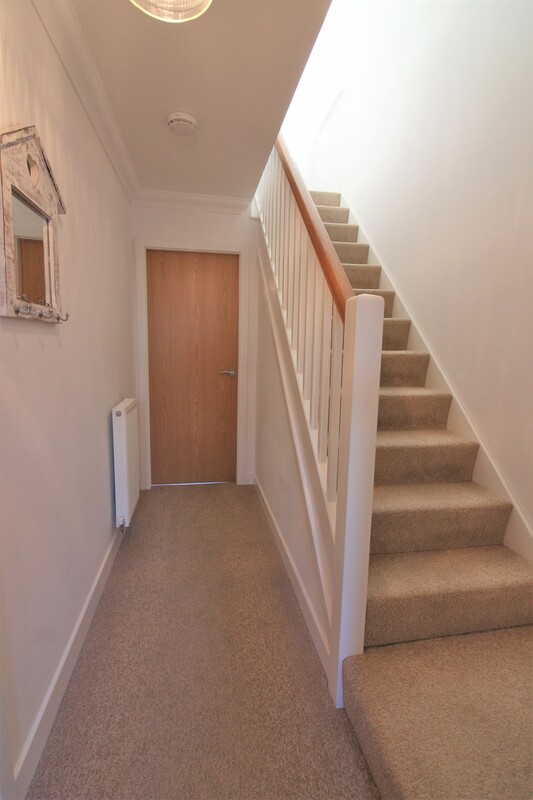 Briefly comprising: Entrance hallway, downstairs w.c, lounge, kitchen/diner, landing, three bedrooms, master with en-suite, family bathroom, driveway, front and rear garden. UPVC double glazed entrance door, two radiators and staircase leading to the first floor. UPVC double glazed window to the side aspect, low flush w.c, pedestal wash hand basin with mixer tap, tiled splashback and radiator. UPVC double glazed bay window to the front aspect, two radiators, log burner effect electric fire set in a feature brick surround and French doors leading to the kitchen/diner. UPVC double glazed French doors and window to the rear aspect, IPVC double glazed door to the side aspect. 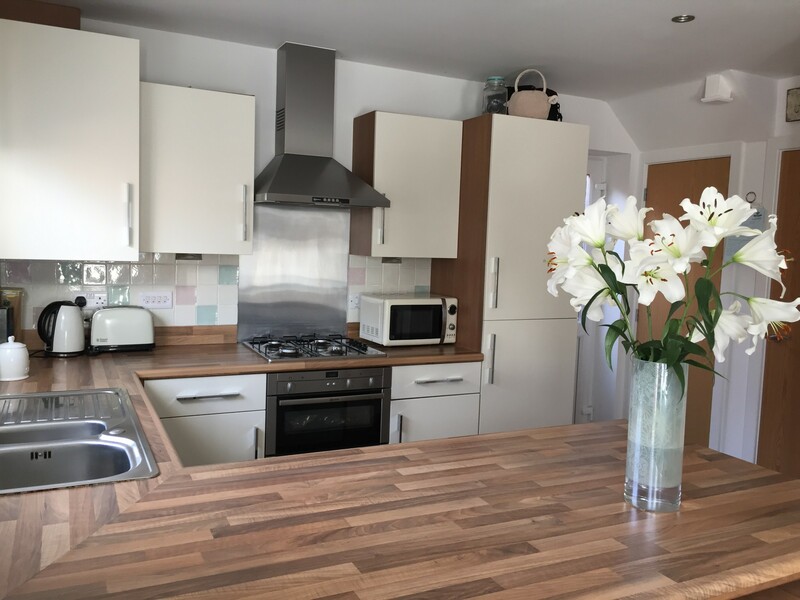 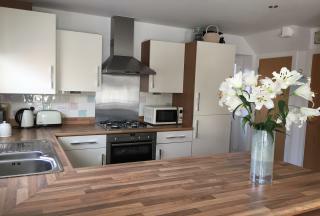 Fitted kitchen with a range of wall and base units and complementary work surfaces, integrated electric oven and grill, four ring gas hob with extractor over, integrated fridge freezer, stainless steel sink with mixer tap and drainer unit, tiled splash back and plumbing for washing machine. 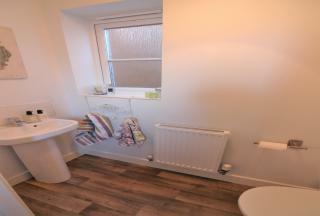 UPVC double glazed window to the side aspect and airing cupboard. 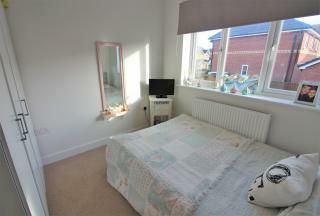 UPVC double glazed window to the front aspect, fitted wardrobes and radiator. 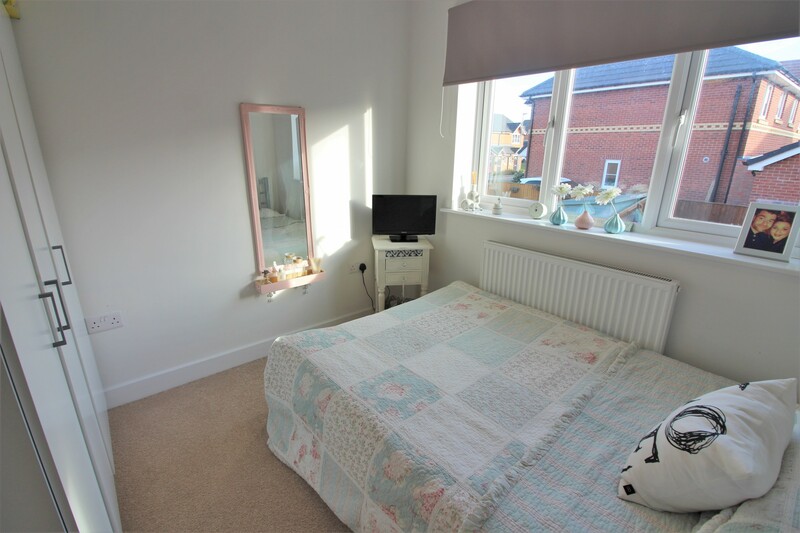 UPVC double glazed window to the front aspect. 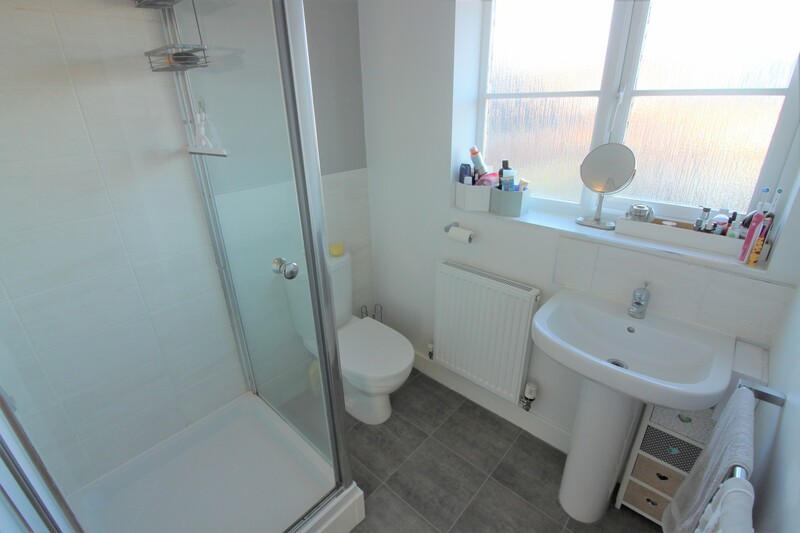 Three piece suite briefly comprising: Shower cubicle, low flush w.c, pedestal wash hand basin and mixer tap, radiator and part tiled walls. 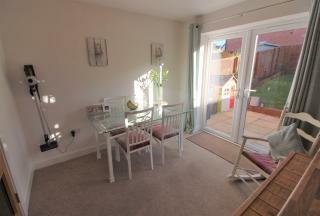 UPVC double glazed window to the side aspect. Three piece suite briefly comprising: Panelled bath with mixer tap and shower over, low flush w.c, pedestal wash hand basin with mixer tap, part tiled walls and heated towel rail. 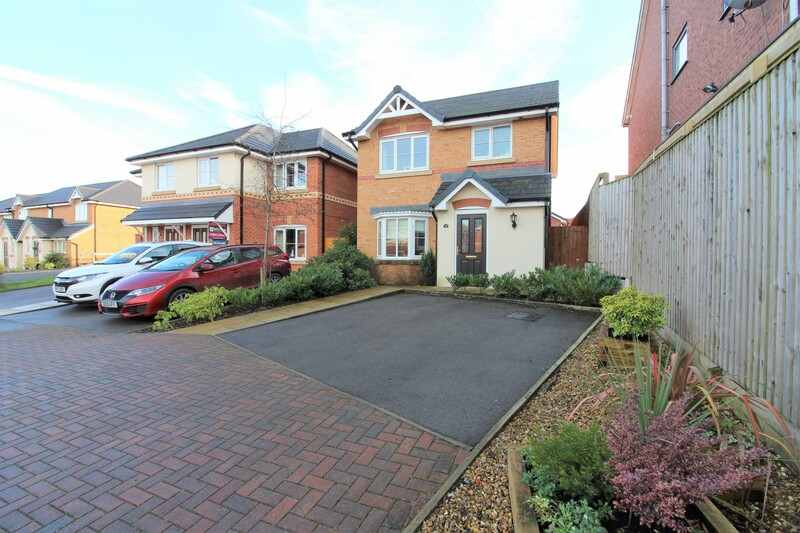 Driveway providing off street parking for two vehicles, pebbled area, shrubs and path leading to the front door. 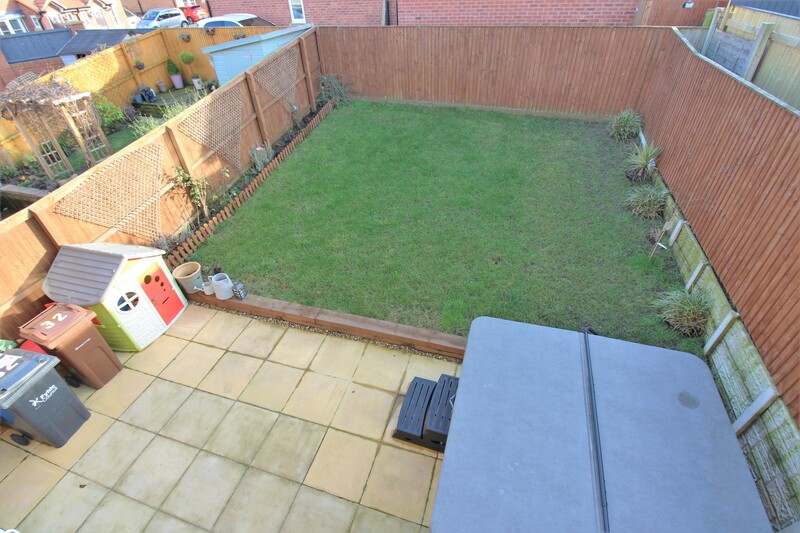 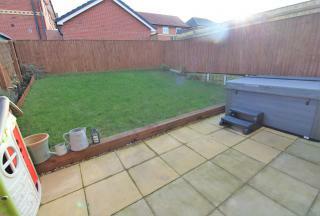 South facing enclosed rear garden part laid to lawn, part paved and garden shed. We have been informed that the property is Leasehold; prospective purchasers should seek clarification of this from their solicitors.